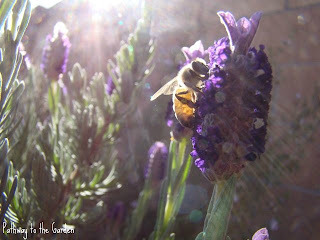 "And now you ask in your heart, "How shall we distinguish that which is good in pleasure from that which is not good?" Go to your fields and your gardens, and you shall learn that it is the pleasure of the bee to gather honey of the flower, but it is also the pleasure of the flower to yield its honey to the bee. For to the bee a flower is a fountain of life, and to the flower a bee is a messenger of love, and to both, bee and flower, the giving and the receiving of pleasure is a need and an ecstasy." 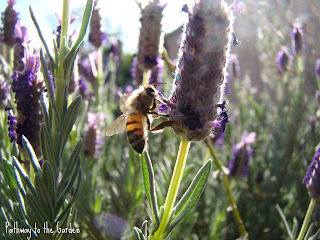 For larger view click on photo. 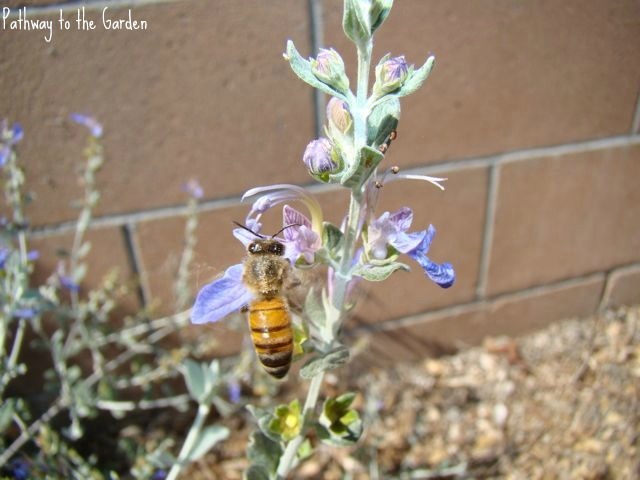 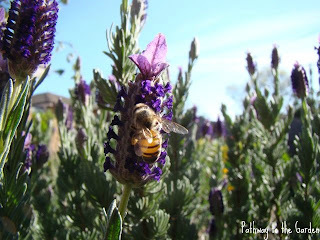 Thank you to my lovely Husband for taking all of these awesome Bee photos in our home garden, "Let it Grow" Gardens. 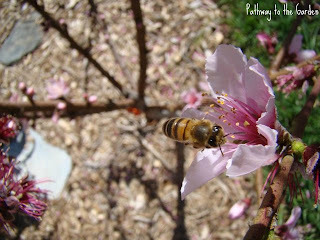 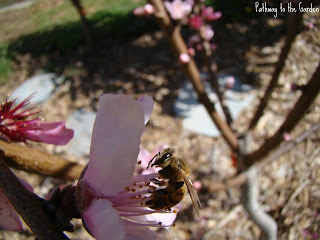 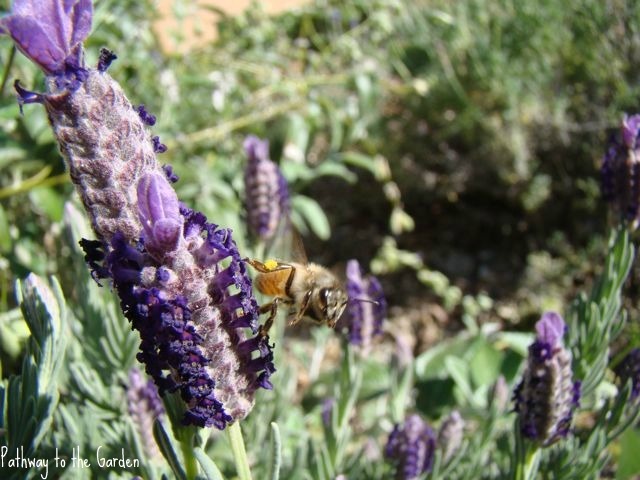 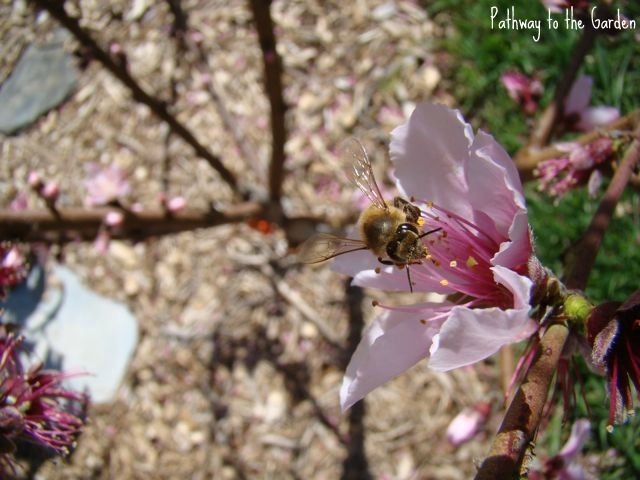 May the Pathway to your Garden be filled with sweet pollinators! 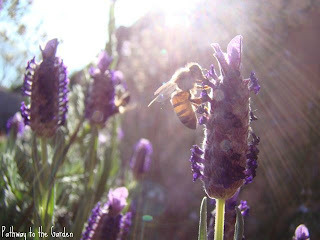 Wow, Kathleen these photos are incredible!